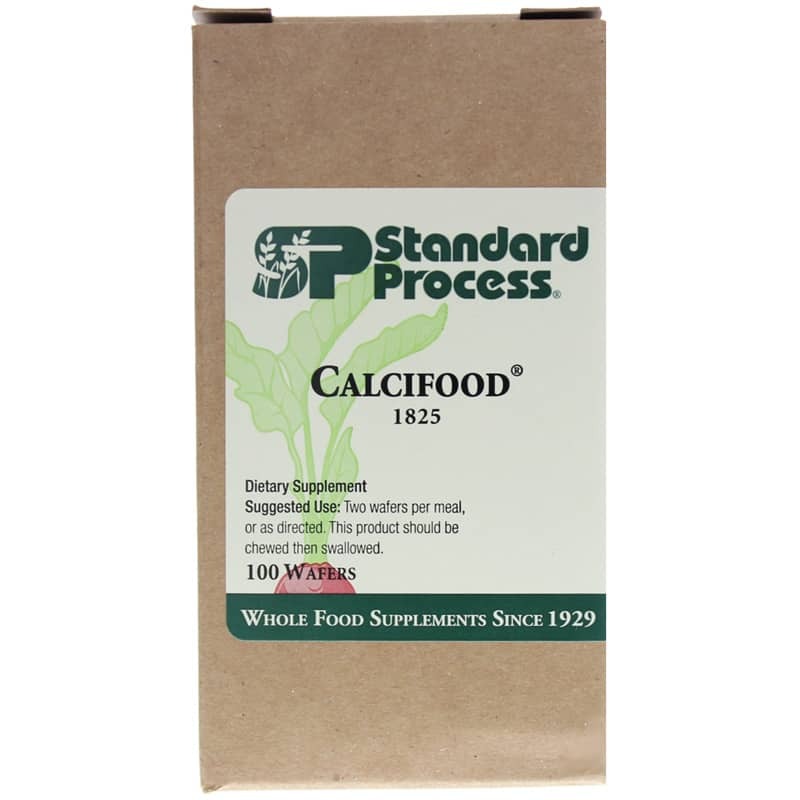 Calcifood Wafers by Standard Process is a natural supplement that supports calcium absorption. 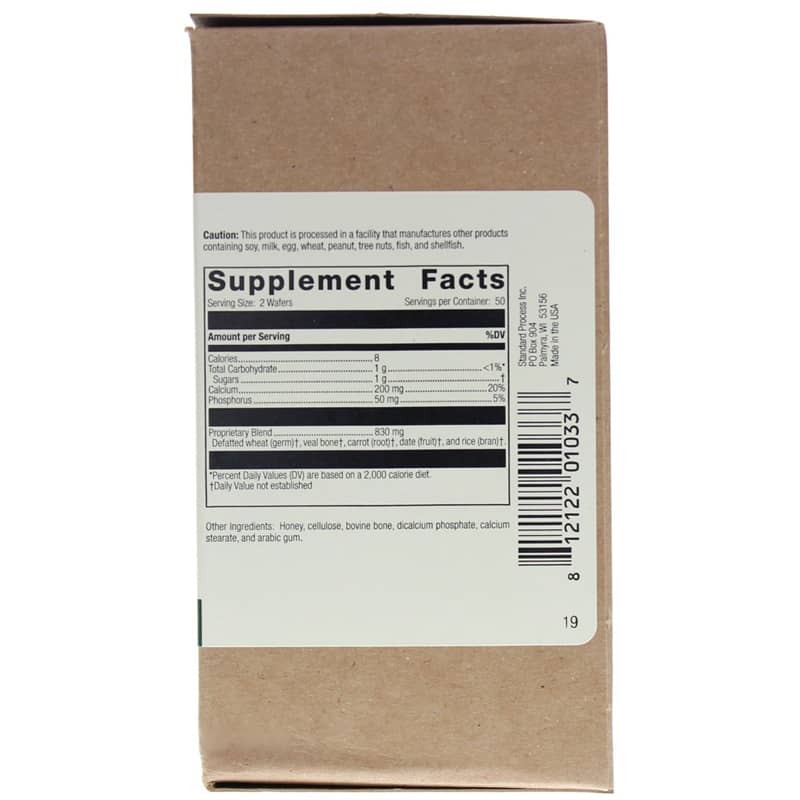 Other Ingredients: Honey, cellulose, bovine bone, dicalcium phosphate, calcium stearate, and arabic gum. Adults: Two wafers per meal, or as directed. This product should be chewed then swallowed. Calcifood is good for your bones. Had a Chiropractor recommend this to me. All you do is chew them up and they don't taste bad. I have been taking Calcifood for a long time. Recommened by my doctor. This is one of two products recommended by my doctor. Since I started taking Calcifood, I feel it is working for me.